A new year is upon us, filled with new opportunities and new hopes... and lots of new comics for you read instead of fulfilling those new opportunities and hopes. 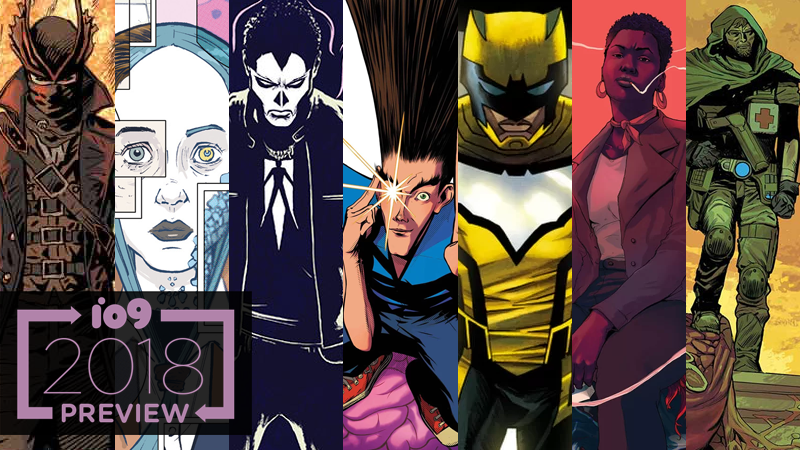 Unless they were “read more comics,” because boy howdy, do we have some new series we’re looking forward to in the first few months of the year to show you! The Terrifics #1—Mr. Terrific, Metamorpho, Plastic Man, and Phantom Girl walk into a bar and realize that they’d make a fantastic foursome or, you know, a team of terrific heroes. The team comes together following Dark Nights: Metal, when they’re forced to rely on one another in order to escape the Dark Multiverse.